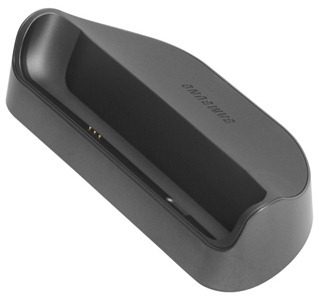 The Galaxy Nexus launched with rather little accessory support from Samsung. Recently, they (finally) released a GPS mount, and now the pogo desktop dock has hit the store and is available for purchase. What's special about a pogo dock compared to a normal dock? This dock uses pogo pins - which match up to the three metal dots on the side of the GNexus - to charge the phone, rather than a normal charging port. You can simply drop your phone in, and when the metal dots touch, the phone charges - it's that easy. 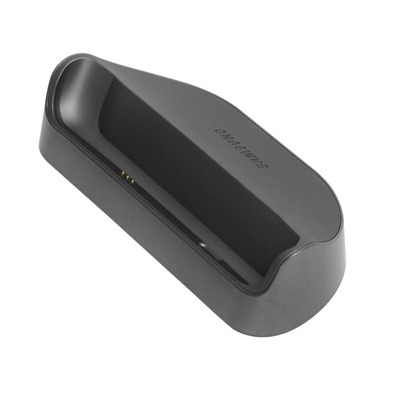 Other than the simplicity offered by the pogo dock, it also includes a 3.5mm stereo audio port. It's available to purchase now, and costs a whopping $90.